Visiting China is a once in a lifetime travel experience, and with its breathtaking scenery, vibrant cities, awe-inspiring historical sites and unique culture, many describe it as their favourite place on earth. Transporting you to the most spectacular parts of this amazing country, our exclusive journey around China’s highlights gives you the chance to appreciate all that is on offer. 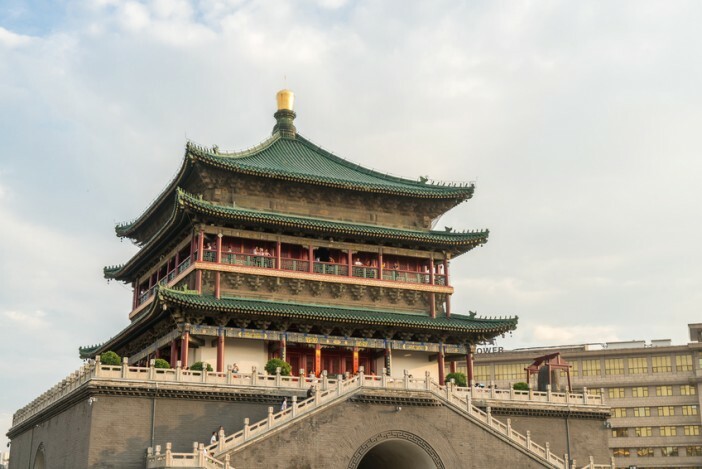 It includes all flights, 11 days of outstanding guided tours, a luxurious cruise of the Yangtze River and 16 delicious meals, so you can relax and concentrate on the very best of China. From the imposing engineering of the Great Wall of China and the impressive workmanship of the Terracotta Warriors to the astounding natural beauty of the Three Gorges, hemmed in by the huge man-made Three Gorges Dam, this journey will leave you speechless with amazement around every corner. Travel by land, air, and water will allow you to see China at its best, including Tiananmen Square, Forbidden City, Great Wall of China, Small Wild Goose Pagoda, Terracotta Warriors, Three Gorges Dam and much more. Tempted by this trip of a lifetime? Read on for a closer look at the highlights of this unique tour of China. When you think of China, these two impressive remnants of one of the most fascinating empires in history are probably what spring to mind. A feat of engineering, and an important fortification to protect a newly unified China, the Great Wall is a goal on many travel wish lists, as it should be on yours. Steeped in history and surrounded by spectacular scenery, this guided trip will make sure you don’t miss any amazing facts about the Great Wall of China. The Qin Dynasty is notorious for its opulence and power, both of which can still be seen today when you look out over the regiments of terracotta soldiers guarding the tomb of China’s first Emperor. Their individual facial features and life-size appearance are not only a testament to the amazing workmanship of ancient China, but also create an eerie sense of the power of this long lost dynasty. A very special experience that is not to be missed. Classified as an AAAAA scenic area by the China National Tourism Administration, it isn’t hard to see why the Three Gorges have been given the highest possible rating for beauty. In the middle reaches of the Yangtze River, the Three Gorges span a spectacular 200 kilometres, their craggy cliffs tumbling rugged, lush greenery into the azure river. The Three Gorges region is also a historically important area of China, with many archeologically significant sites and ancient settlements. The Three Gorges Dam is a truly impressive sight, spanning the breadth of the Yangtze River. It is the world’s largest hydroelectric dam, and travelling down its ship lift is an extraordinary experience. Both domestically and abroad the dam has seen its share of controversy, but it is hard not to be impressed by this enormous feat of human ingenuity. The Three Gorges is an amazing place to marvel at the power of nature and man, and a must-see on any Chinese touring break. Tours of the Yangtze River are extremely popular, and for good reason. It is the third longest river in the world, and has enormous cultural and economic significance to China. Generally considered to be the dividing line between North and South China, areas on each side of the river differ in climate, culture, economy and customs. It is also home to a variety of endangered species, including the Chinese alligator, finless porpoise, Chinese paddlefish and Yangtze sturgeon. Cruising the river in luxury is, without a doubt, the best way to see this amazing waterway. As well as sampling delicious local cuisine, you can also take advantage of the on-board entertainment, allow yourself to be pampered, and make new friends. This tour is a wonderful opportunity to appreciate the unique culture of China, whilst revelling in the creature comforts of home. If this shortlist of the delights on offer on our China Highlights with Luxury Yangtze River Cruise trip has left you longing to visit China, why not book your place now? Departing on three different dates in May 2017, this once in a lifetime opportunity to see the amazing culture, history and scenery of China starts at A$2,099 pp. You can find more information on our website, before booking your place online or calling our lovely cruise team on 1300 857 345.